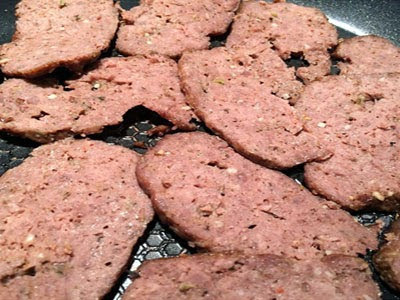 We love donairs around here so when I saw this recipe last year for donair meat, it was definitely something I wanted to try. Making this is easy. I just toss all the ingredients into my mixer and let the hook do the kneading for ten minutes until everything is incorporated. The meat is then formed into a loaf and baked off. 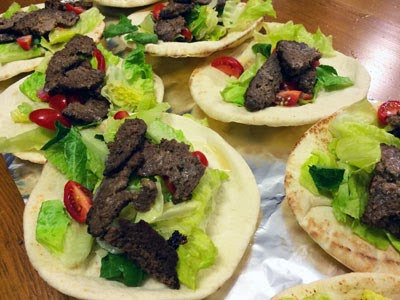 Once sliced, I fry up the meat in a pan before stuffing it into pitas. Q loves this so much, he is content just eating the meat by itself. He also asks for donair sandwiches, happily taking it for lunch. 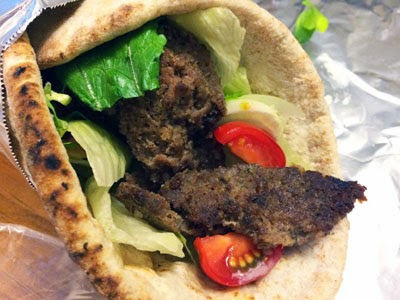 For dinner, we stuff it into a pita with some lettuce, onions and tomatoes. Topped with a garlicky dressing, it tastes just like from a restaurant! A quick version of donair sauce that we use is sour cream, agave and garlic. So yum! The meat is pretty good on pizza too. 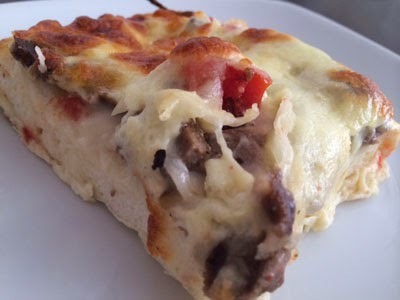 Check out this donair pizza I created for pizza week last year. Preheat the oven to 350 degrees F. In a mixing bowl, place the ground beef and then add the salt, oregano, flour, black pepper, Italian seasoning, garlic powder and onion powder. Using the kneading hook, knead the mixture for ten minutes. Form the meat into a loaf, and place it on a broiler pan or baking sheet. « win a one year supply of minute rice!